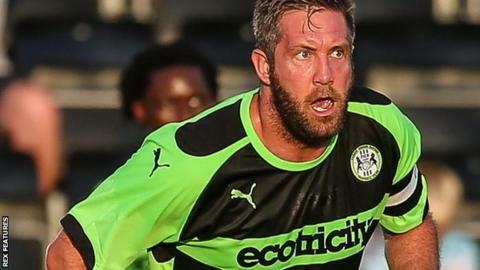 Striker Jon Parkin has been banned for three matches following a tackle in Sunday's National League promotion final. Parkin, 34, committed a late off-the-ball offence on Grimsby Town's Josh Gowling which was missed by referee Robert Jones. A later review by the FA's Judicial Panel found Parkin to be in breach of fair play, which he accepted. Parkin will now miss the first three games of the 2016-17 season.